Do you celebrate Groundhog Day? It’s always fun to see if Punxsutawney Phil sees his shadow or not and see later if that prediction does in fact come true for the year. I, myself, am always anxious for a short winter. Haha! 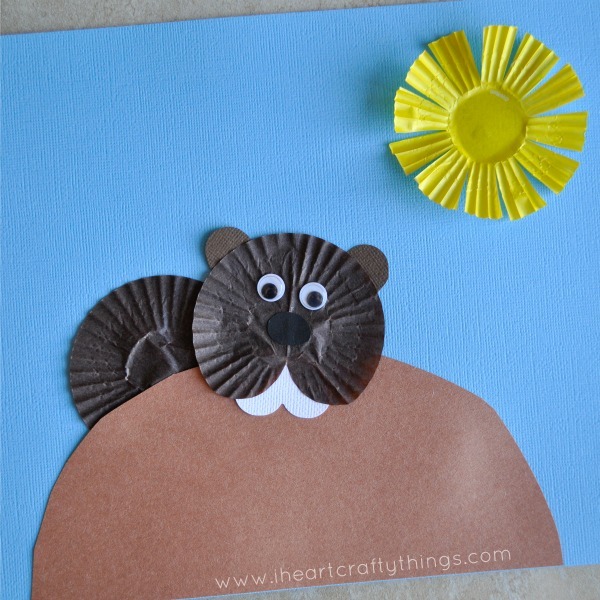 Here is a fun Cupcake Liner Groundhog Day Craft for kids that is reminiscent of a groundhog coming out of his burrow to see if the sunshine brings his shadow or not. 1. 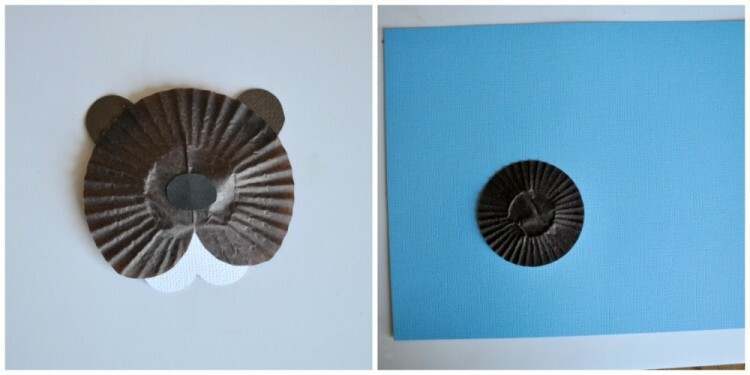 Start by folding one of your brown cupcake liners in half and cutting a heart shape out of it. I left the bottom of mine round and just cut the top shape of the heart. 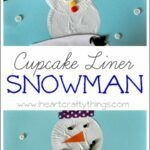 Unfold your cupcake liner. 2. 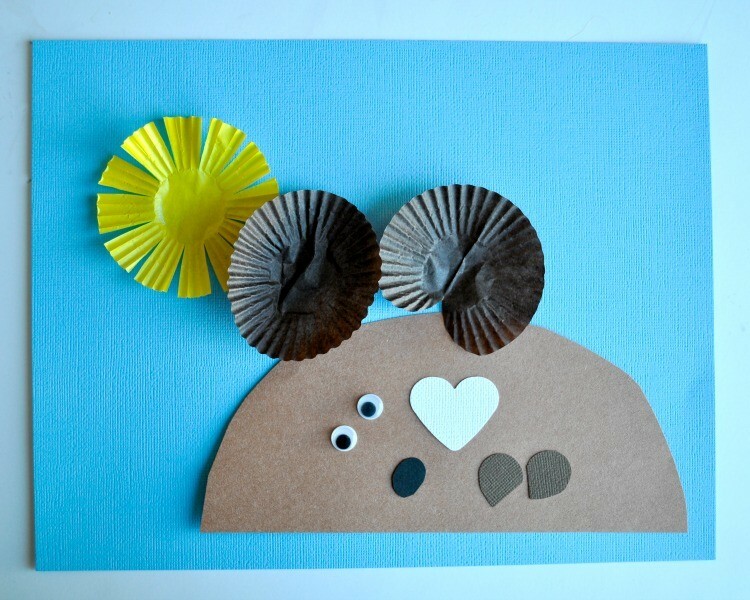 Cut two ears out of your brown cardstock paper, a nose out of your black cardstock paper and a small heart shape out of your white cardstock paper for the teeth. Glue them all onto your heart shaped brown cupcake liner and set aside. 3. 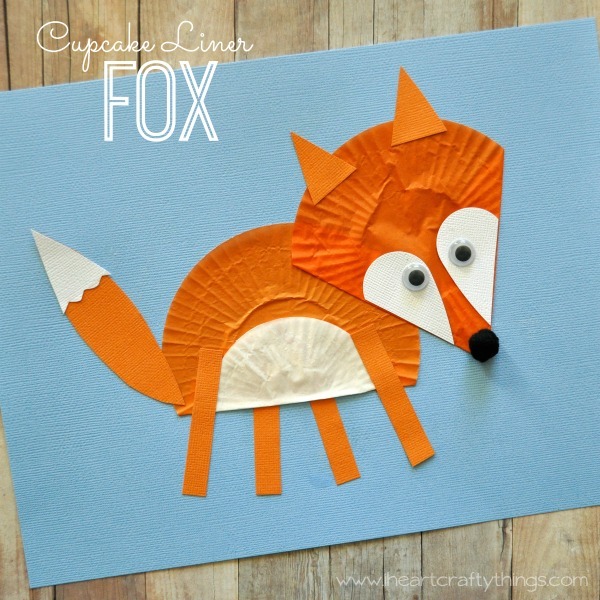 Glue your other brown cupcake liner onto your blue cardstock paper. You can see from the picture where I positioned mine. 4. 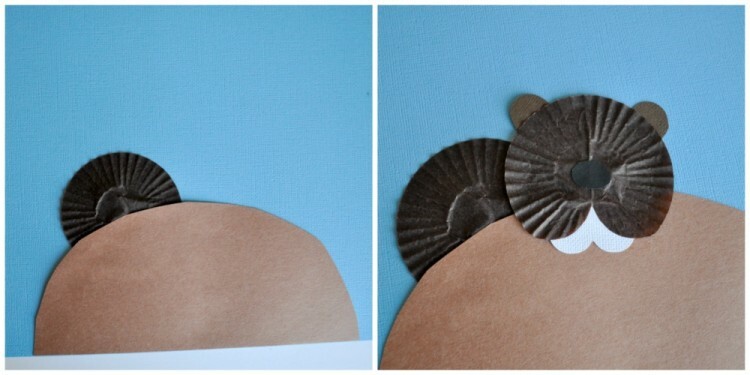 Cut a mound out of your brown construction paper and glue it onto your blue paper, covering up about half of the brown cupcake liner. 5. 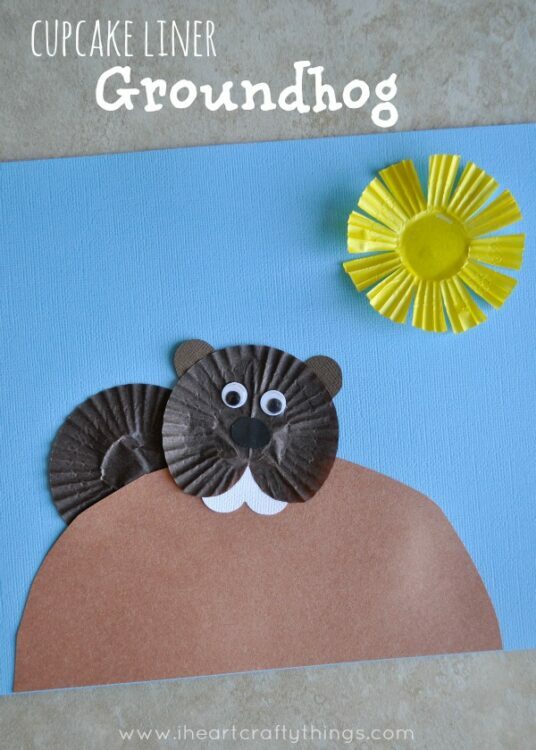 Glue your Groundhog face onto your blue paper as if the Groundhog is peeking over the mound. 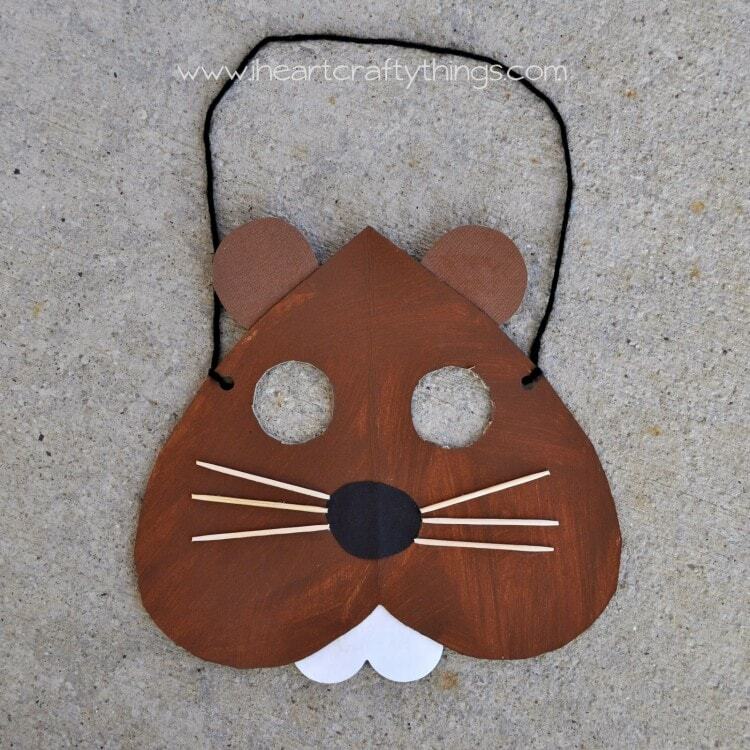 Glue your googly eyes onto your groundhog face. 6. 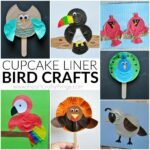 Finish your artwork by cutting slits all the way around your yellow cupcake liner to make a sun shape and glue it onto your artwork. Absolutely perfect! Can't wait to make these!